Just behind the Klinkerstraat is the old tram depot that belonged to the Amsterdam public transport company (GVB). After years of discussion about re-purposing, or even demolition, the restoration could finally begin. The Van Stigt architects office made the restoration and the re-zoning of this enormous and unique building a great success. 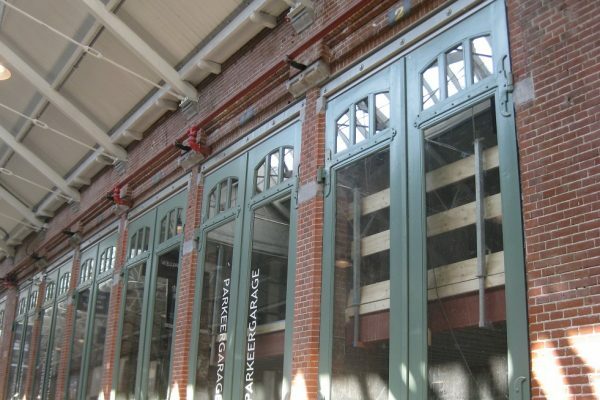 De Hallen is intended to be a center for media, culture, fashion and craftmanship, to once again become the heart of the kinkerbuurt as a home to small-scale workplaces. De TROM, the foundation who manages de Hallen, works as part of a non-profit organization and keeps a watchful eye on this vibrant location. 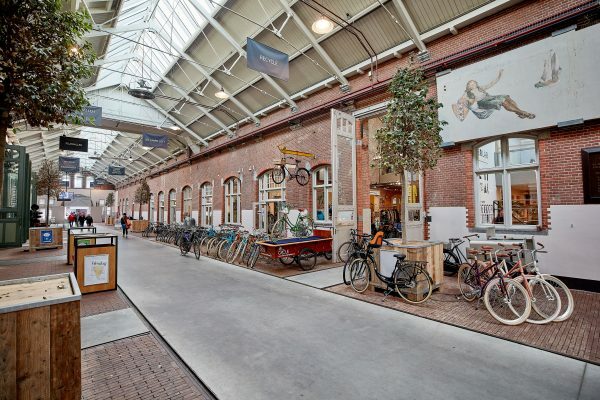 De hallen houses, among other things, a cinema (de Filmhallen), a boutique hotel, a library, independant creative shops and a weekly covered artisan market and has thus very quickly become one of the most popular cultural locations in Amsterdam.